There are an increasing number of Platform as a Service options available for developers, so it’s no surprise that Zend have joined the party. PHP Cloud is a public preview at the moment, but it already offers key features such as: MySQL access, source code management via Git, deployment to other cloud services, and SFTP access. You will need to create a zend.com account (it’s free) if you don’t have one already. Then you will need to request an invite. Usually, Zend will send you an invite within 24 hours. You can then download the .pem file (the private key) and store it safely on your machine. 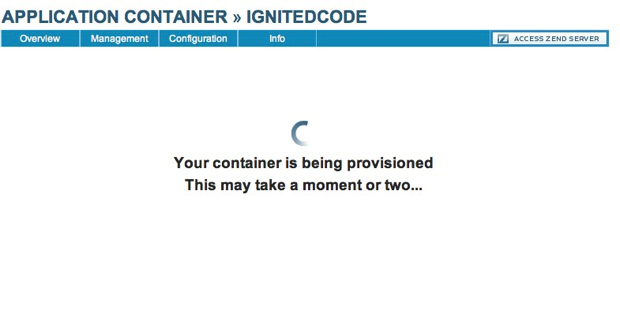 That’s all there is to creating a container. Bear in mind that this is a preview build at the moment, so there are bound to be teething problems. We can work around that issue for now. 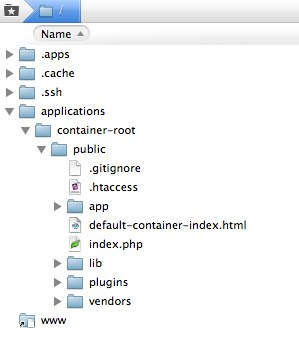 Obviously you will need to change your directory to where you want to store your code, and also add the container name that you have used in place of mycontainer. The private key path should point to the .pem file you created earlier, or your exisitng private key. Your code is intended to go in the public folder. You will see that I have added the files and folders that belong to a CakePHP installation. You can work via Git, or you can work by uploading via SFTP, the choice is yours. We’ll install CakePHP, and build a simple blog application, just so that we can prove things work on the Zend Cloud. 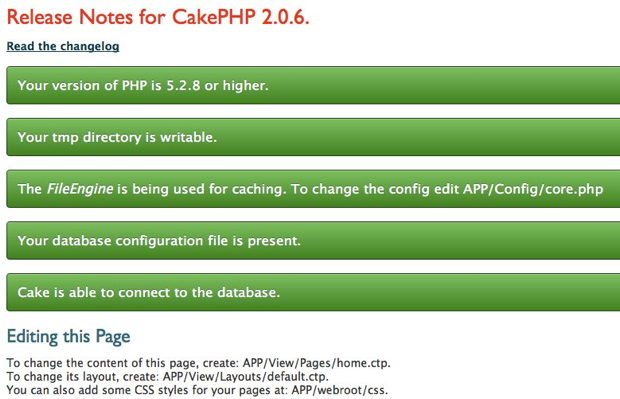 The normal installation of CakePHP requires that you change permissions on certain folders and files. 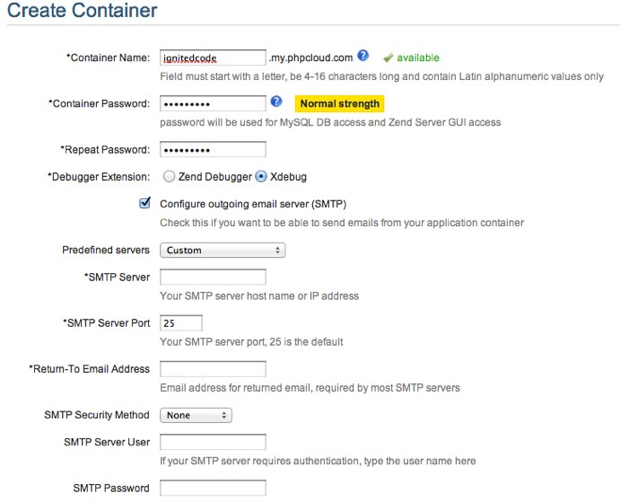 Since PHPCloud has no shell access, you will have to access the installation via SFTP. Download a fresh copy of the stable version of CakePHP unzip it, and then upoad it to your container using the SFTP method described above. Ensure that you upload all files; CakePHP has some hidden files that you will need to be sure to upload too. Next, change the permissions on the app/tmp folder to 777 (read and write) using your preferred (S)FTP client. Cake uses this folder to store session data, logs, cache, and test results. Scroll down to around line 182, and change the security salt to one of your own. Also, change the cipherSeed value to a random numeric string. The database settings that you used for phpMyAdmin, should be added to app/config/database.php (you’ll need to re-name the file from database.php.default). And with any luck, you will see something like the screenshot above. At this stage, you can revert to using Git now, since the file permissions issues have been resolved. We’ll start by creating code to handle blog posts. You will notice that clicking the links causes an error. That’s because we don’t have a view action in the posts controller, and an associated view file. Now you can click the links to view the individual posts. So you have seen how to get a simple application up and running on PHP Cloud. There are still some issues, but once they are resolved, this will undoubtably be a strong cloud hosting solution. The ability to log in via SFTP is important, but the missing shell access is unfortunate. However, with phpMyAdmin, Git, and the ability to deploy to other cloud services, PHP Cloud already has a lot to offer.